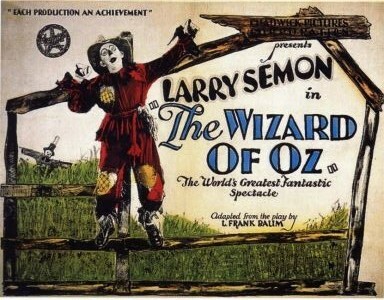 Plot: A toymaker (Larry Semon) crafts a set of dolls for his granddaughter, recreating the characters from L. Frank Baum’s The Wonderful Wizard of Oz, then sits her down and to read the book with her. Or rather, he reads some alternate universe version of the book that only exists in this movie, because despite the fact that Baum’s own son got a screenwriting credit, it is almost unrecognizable from the book. My friends, I have written about 80 or so different movies since I first started this project, but this may be the craziest thing I’ve ever watched. Normally I don’t blame you if you skim over my somewhat detailed synopses, but this time I implore you… read on. In this version, the people of Oz have managed to achieve a tense, suspicious peace many years after their baby princess was kidnapped and lost. In the place of the royal family is the treacherous Prime Minister Kruel (Josef Swickard). His actions (which are completely undefined) are beginning to bring the people of Oz to rally around Prince Kynd (Bryant Washburn), who demands the return of the rightful queen. Kruel turns to his advisor, Ambassador Wikked (Otto Lederer), who suggests they take their case to the Wizard (Charles Murray) and ask him to use his power to distract the people while Kruel schemes. Nobody knows the Wizard is merely a huckster – a man with impressive tricks, but no real magic. Upset by the story, the toymaker’s granddaughter urges him to read the part about Dorothy and her friends, and he complies. In Kansas, we meet a rose-adorned girl named Dorothy (Dorothy Dwan) and her loving Aunt Em (Mary Carr). Her Uncle Henry (Frank Alexander) is less enamored of her, and grows angry at her for wasting time on the farm, where a farmhand (Oliver Hardy) defends the women as Henry berates them. Semon and G. Howe Black also appear as buffoonish farmhands, also victims of Henry’s temper. Semon and Hardy (both nameless) fight over Dorothy’s affections, and Henry gets angry at them all. Dorothy turns to Em, upset at Henry’s cruelty, and Em confesses that he isn’t really her uncle. She tells Dorothy the story of how, many years ago, baby Dorothy was delivered to their doorstep in a basket, and if you don’t know where this is going then congratulations on making it this far in life without ever having watched a movie before. Anyway, Dorothy arrived with a letter to be opened by her on her 18th birthday and not a moment before. Back in Oz, things are getting even more tense, as Kynd warns Kruel that coronation day is approaching. He has until the new moon to produce Oz’s rightful queen, or Kynd will throw him into the dungeon. Kruel knows there are papers in a faraway place called Kansas that will save his regime, and sends Wikked on a journey to find them. The granddaughter, showing the sort of patience that would no doubt lead her to blow up her high school science lab in later years, forces her grandmother to jump back ahead in the story to Dorothy, who now is celebrating her 18th birthday. She goes to Henry, reminding him that today is the day he gives her the papers that came with her upon her birth. Before he can do so, Wikked arrives, flying in a biplane and landing on Henry’s farm. He demands the letter that came with Dorothy, offering to bribe Henry to prevent Dorothy from knowing the contents of the letter, but Henry grows angry and shoos them away. Wikked turns to the farmhands, who are fighting over Dorothy’s hand, and tells Hardy that she will never marry him if she reads her papers. Henry is about to give the papers to Dorothy, but Wikked and his thugs capture them at gunpoint. Henry manages to hide the letter, and Wikked has Dorothy tied to a watertower, threatening to burn the rope and let her fall if he doesn’t get the papers. Semon manages to catch her, because physics don’t apply in silent movies, and gives her the letter, which he found. Wikked tries to attack again, but apparently even God wants them to just get the hell to Oz, because all of a sudden a storm comes out of nowhere, lightning striking the bad guys (and knocking off Semon’s hat and bow tie) and wind forcing everyone else inside. Dorothy, Henry and the farmhands, in the house, are caught by the wind and blown away. The five of them and Wikked crash outside the land of Oz. Semon hands Dorothy the letter, which indicates that her true name is Dorothea, rightful ruler of Oz, and destined to take the throne upon her 18th birthday. Kynd, Kruel, and the Wizard come out to greet them, although only Kynd is happy. Kruel orders the wizard to do something to the farmhands while he deals with Dorothy and Henry, but the Wizard is powerless. The farmhands each disguise themselves so that they and the Wizard won’t get in trouble – Semon putting on the clothes of a Scarecrow, Hardy a suit made of tin. Kruel captures them all and Hardy and Semon each accuse the other of kidnapping Dorothy in the first place. Black (the remaining farmhand) and Semon are sent into a dungeon where they are immediately mistreated by people dressed like pirates. I think this movie is going to give me a nosebleed. With Dorothy’s true status revealed, Wikked advises Kruel to marry the new Queen to maintain his power. Hardy is made a “knight of the garter,” which somehow makes him immune to metal, and Henry is made Prince of Whales, which is not a typo. Back in the dungeon, the Wizard approaches Black and has him don a lion costume so he can frighten his captors and WHY THE HELL IS THE WIZARD TRYING TO HELP THE FARMHANDS THIS DOESN’T MAKE ANY SENSE AND he and Semon manage to escape. Semon plans to help save Dorothy from being the victim of a frame-up (FRAME UP? WHAT IS SHE BEING FRAMED FOR?) and sneaks out of the dungeon, but winds up being chased back down by Hardy, where he and Black encounter real lions. But Semon isn’t worried because lions like “dark meat” and Black is actually black and I think I need to sit down. Kruel and Dorothy are about to get married (I think) when Kynd shows up and engages him in a swordfight and the Wizard helps Semon escape the dungeon. Together they defeat Kruel, who confesses to kidnapping Dorothy in the first place, claiming he whisked her away to save her from a “hostile faction.” Dorothy turns to Kynd, who she has apparently fallen in love with because of his mustache, and Black and Semon fly away in Wikked’s biplane. 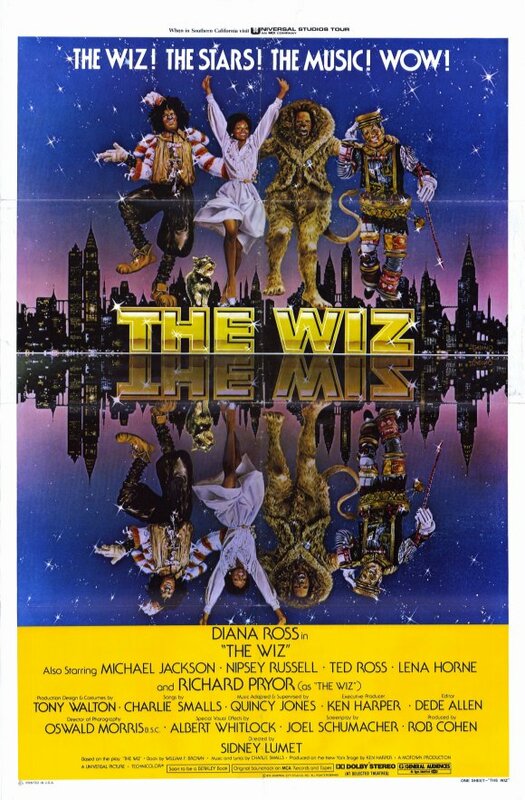 Thoughts: This is truly a bizarre movie, unlike any other version of Oz I’ve seen put to screen. The long, frankly tedious focus on the bumbling farmhands at the beginning makes it clear that the film was really intended as a starring vehicle for actor/director/co-writer Larry Semon (he in fact is the only actor credited on the only original movie poster I could find). As a historical footnote, the film is more notable for featuring a young Oliver Hardy, who would go on to be one-half of one of the greatest comedy teams of all time, whereas Semon would go on to die of pneumonia at the age of 39. This is especially notable as, even when he’s not wearing his old man makeup, he looks like he’s about 64 years old in this movie. The story here is something of a chore to get through. I can handle a story that adds new things to the Oz mythology, but the almost unforgivable thing here is the way Semon and his co-writers spend a ridiculously long time showing the various farmhands going through comedic antics back in Kansas, this after the granddaughter has specifically asked to hear about Dorothy and the Scarecrow, the Tin Woodsman, and so forth. I’m also very uncomfortable with re-casting Uncle Henry as this cruel, heartless man who practically tortures Dorothy and Em, regardless of the question of Dorothy’s true parentage. Even worse, though, it’s internally inconsistent, as the cold-hearted Henry suddenly becomes Dorothy’s stalwart defender when Wikked shows up to take back her birth papers. I admit that I’m not exactly privy to the demands of a 1925 filmgoing audience, but I can’t imagine anybody who loved the novel (which was 25 years old at this point, enough for parents and their children alike to have grown up with the book) watched this and came away satisfied. So much of it simply makes no sense. How did Kruel come to power? What the hell is Prince Kynd actually the prince of? What were Kruel and Wikked doing that turned the people of Oz against them? And didn’t anybody find their names at all suspicious? Why do the farmhands disguise themselves? What the hell does it matter to them if the Wizard gets in trouble for faking his powers all these years? They have literally just met the man, and he’s working with the guy who wants to destroy them. Typing this paragraph is giving me a headache. 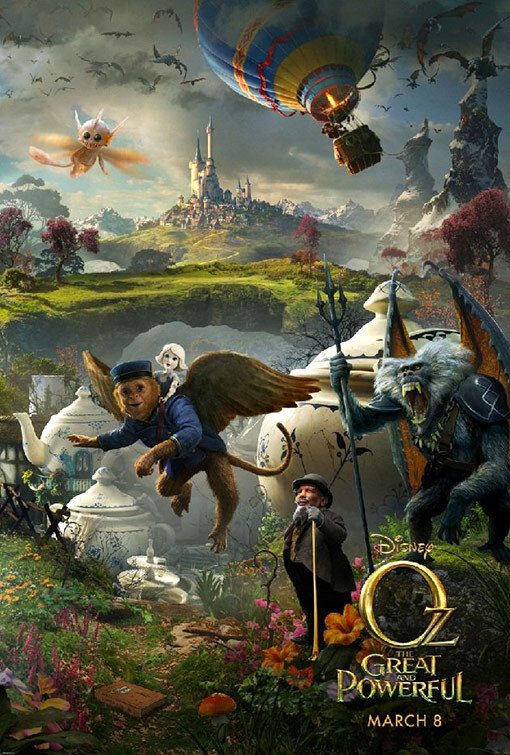 Considering the complete mess made of the story here, perhaps the thing that disturbs me about this movie the most is the way it completely strips away all of the magic of Oz. Not only is the Wizard a humbug, but there’s no magic anywhere – the scarecrow and tin man are just disguises, and the route between Oz and Kansas is easily accessible by a 1920s-era crop duster. The closest thing to magic is the storm that hurls them to Oz, and I’m still willing to chalk that up to the intervention of a deity that can’t believe they were 44 minutes into an adaptation of The Wizard of Oz and Dorothy hadn’t left Kansas. The characters, meanwhile, are paper-thin. Dorothy Dwan (Semon’s wife) as Dorothy is less of a character and more of a living doll for the men to fight over. Her affections bounce between men from moment to moment with no reason or logic, and we’re never given a satisfactory reason why she should fall in love with Kynd in the end. The rest of the characters are similarly ill-developed, acting without any real motivation. Howe’s “Cowardly Lion” farmhand is the sort of racial stereotype you expect in a movie from this time period, which I usually try to tolerate for the sake of context, but the line about lions liking “dark meat” just sent me over the edge. In the end, the whole thing seems to exist solely to showcase Larry Semon’s slapstick abilities. That’s fair, I suppose – a lot of the comedies in the era of silent movies were little more than the star comedian performing their antics in front of a camera. But I have to ask – is an adaptation of The Wizard of Oz really the right place for that kind of one-man show? The good news is that this movie is largely a footnote in Oz lore. Very few people watch it anymore, which is as it should be, and it’s not remembered very well. 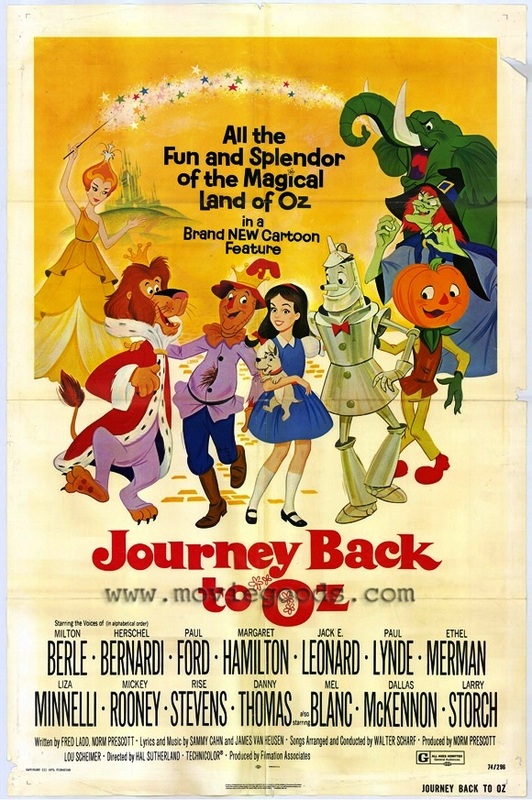 The bad news is that the one thing from this movie that did make it into the greater Oz Mythology is probably one of my least-favorite parts: the conceit that Dorothy’s friends in Oz are based on the people she knew back home. In and of itself, that’s not really a bad idea. It’s cute, it’s fanciful, and it has worked its way into many other fantasy films over the years. The problem, though, is that the way it was used in the 1939 film birthed the notion that Dorothy dreamed her entire Oz adventure. 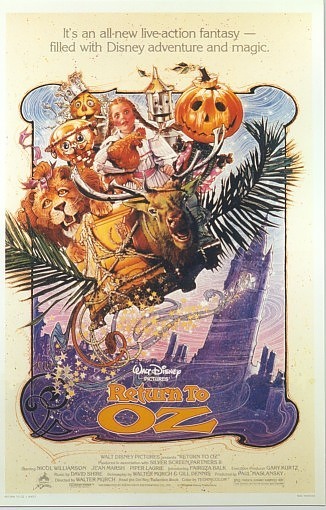 This is something Baum never intended, but something a lot of people think is Oz canon… and the whole thing rather cheapens Oz to me, almost as much as the stripped-down Oz we got in this movie. I need to cleanse my palette, friends. I need a good movie to cleanse my mind. Fortunately, the next one on this list is the classic to end all classics. Tomorrow it’s time for Judy Garland in MGM’s 1939 film The Wizard of Oz. How many Oz movies are there, anyway? 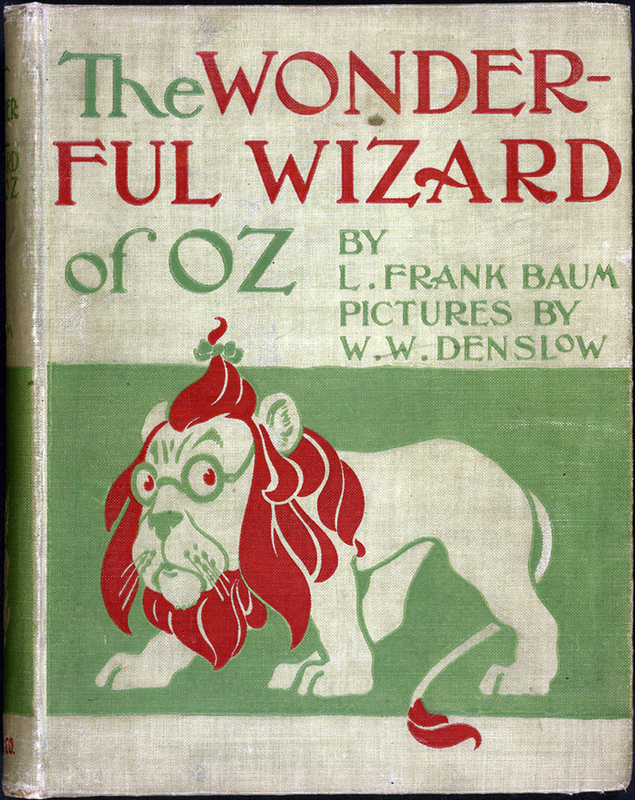 After I posted my April Icons announcement (Dorothy Gale week) along with my March viewing list, a few people expressed surprise to me that there are so many movies based on L. Frank Baum’s Oz books. Ozophile that I am, I’m always on the lookout for new films and new entries into the land of Oz, but I forget at times that most people are only familiar with the 1939 MGM film starring Judy Garland (which will be a part of the Dorothy Gale Icons week, don’t worry). So that in mind, I’ve put together a list of Oz films, culled from a glance at IMDB.com. This may not be comprehensive, but even if I missed a bunch of movies, this should give you an idea that the world of Oz is so much bigger than many people think. Again, this is by no means a comprehensive list. 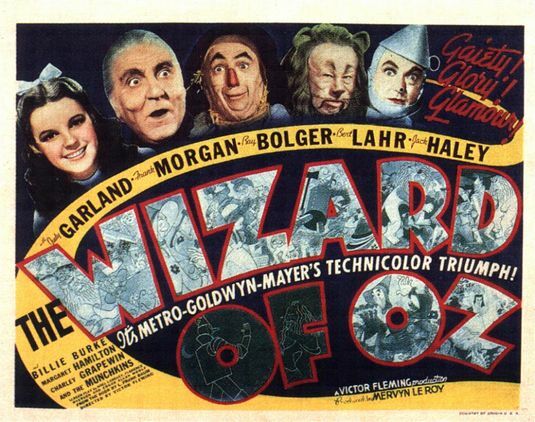 I left off foreign language versions (of which there are many), video games and TV series (although I kept miniseries and made-for-TV movies), and film releases of “live” shows like The Wizard of Oz in Concert and The Wizard of Oz on Ice. 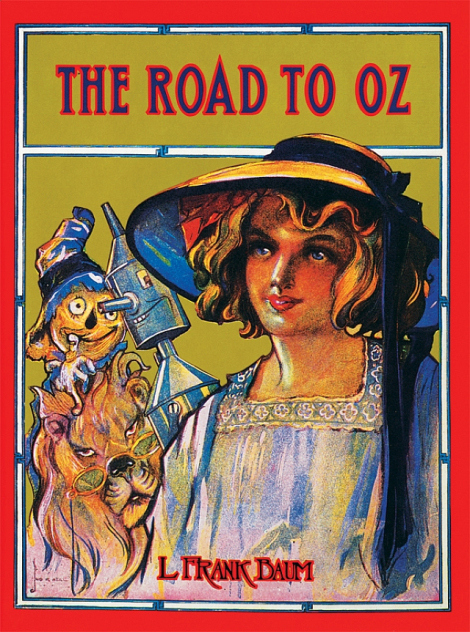 I also stopped counting straight-up adaptations of the first Oz novel after we reached the Judy Garland film, but they came back after a while. Other versions were made in 1950, 1967, 1975, two in 1976, and 1982. Plus, this list was created just by looking at L. Frank Baum’s IMDB page, it doesn’t list most of the Oz films, adaptations, or “reimaginings” in which he received no credit on the website. And we could still be here watching these for weeks. So again, while I don’t expect anybody to rush out and become the sponge for Oz that I am, it’s nice to call attention to the fact that for those who want more, there’s almost always more available.